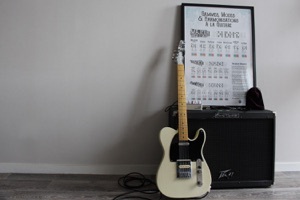 Disclaimer : don’t get mistaken, this website and its Guitar Cook Book have nothing to do with Jesse Gress’ «Guitar Cookbook». You’ve been warned. Attention, ce site web et son Guitar Cook Book n’ont rien en commun avec «The Guitar Cookbook» de Jesse Gress. Vous voilà prévenu. New ! 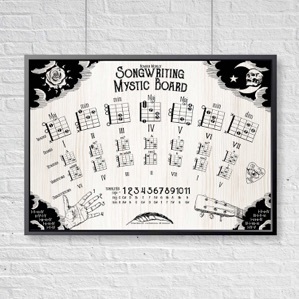 Songwriting Mystic Board posters ! or directly from our shop. The GuitarCookBook may be sold out on Amazon, if so, buy it directly from our shop. Si le GuitarCookBook est en rupture chez Amazon, achetez-le directement sur notre shop.